Despite the delays in the launch of GX, it seems Inmarsat may be looking to stitch up an even larger share of the maritime market in the near term. Rumors are flying that Inmarsat may soon make a formal bid to acquire KVH, the largest maritime VSAT player in terms of vessels (though not in revenues), adding about 3500 more terminals to Inmarsat’s existing 2200 VSAT equipped ships. KVH generated nearly $80M from its miniVSAT business in 2014 with an average service ARPU of $1500 per month, compared to Inmarsat’s $90M and ARPU of $4000 including equipment leases (this equates to $2500 per month after stripping out hardware, according to Inmarsat’s most recent results call, which is a more appropriate point of comparison with the KVH ARPU). The difference in ARPUs between Inmarsat’s current VSAT business and KVH is striking, in fact KVH’s smaller V3 terminal (which has about 900 active terminals) is generating around $500 in monthly ARPU, below even Inmarsat’s FleetBB ARPU of $700 (note that the standard FleetBB package sold by KVH now only provides 20 Mbytes per month of data for $749, whereas KVH offers airtime at rates as low as $0.99 per Mbyte). If Inmarsat does move ahead with a KVH bid, it would likely be seen as a counter to Airbus’s disposal of its Vizada business unit, because Inmarsat would then have by far the largest number of VSAT-equipped ships. Indeed it would not be surprising to see attempts by competitors to block the deal on antitrust grounds, not to mention the concerns that current KVH customers will have about potential future price increases. However, it would also be something of an acknowledgement that GX is optimally positioned as a lower end off-the-shelf maritime VSAT service (like KVH’s miniVSAT), as a step up from FleetBB, rather than as a high end solution for cruise ships and oil rigs. KVH’s growth has slowed in the last year, with terminal shipments staying at close to 1000 per year in 2012, 2013 and 2014, but net adds and ARPUs declining. Pressure from Inmarsat will only intensify, once the low cost 60cm GX antenna is available with global coverage, so this looks like it would be a good time for KVH to sell out. Inmarsat investors will presumably also welcome a deal, with a much clearer path established to a GX maritime business of $200M+ in annual service revenues over the next few years (though its important to note this represents a retail service business, not the wholesale spend on satellite capacity). However, the obvious question that customers will ask is whether low end price packages will still be offered for miniVSAT users, or whether Inmarsat will move them up to much higher price points, as it has done with FleetBB over the last few years. And what will be the alternative for these users: will it be other VSAT solutions, or will it be the new broadband services (comparable in capability to FleetBB) offered by Iridium’s NEXT constellation? It will take some time for either of these options to emerge, with low cost small Ku-band VSAT antennas needed for the former, and completion of the NEXT constellation needed for the latter. That provides a further motivation for Inmarsat to move sooner rather than later, while its freedom of action in the low end of the maritime market remains relatively unconstrained by competitive alternatives. I won’t belabor the errors of physics in the movie, instead just noting that even though you might think that in space things can keep going in a straight line indefinitely, they are still subject to gravity and you can’t get to a higher orbit without some form of propulsion. We’ve now seen confirmation from Iridium of what I pointed out last week, that Q3 was very bad for the MSS industry. Iridium missed its expectations for equipment revenues (i.e. handset sales) and subscriber growth (i.e. M2M net adds), although at least the government contract renewal is more favorable than expected – the unlimited nature of the contract removes the incentive for the DoD to scrub its user base to remove unused handsets, which has been a headwind for Iridium in the last couple of years. Its far from clear that anyone else is doing better: it looks like Iridium’s competitors also saw pretty poor handset sales in Q3 and the SPOT 3 has been very slow to arrive in stores as well. Moreover, the government business is dire – Intelsat’s profit warning (which included its off-net business reselling MSS) is a bad sign for Inmarsat, as are the large scale layoffs in Astrium’s government business last week. Inmarsat has now followed up its promise not to raise FleetBB prices in 2014 with an enormous 48% rise in maritime E&E prices from January, in an attempt to sustain maritime revenue growth next year. While the stated intention is to persuade the remaining pay as you go customers to move off the E&E network and choose FleetBB instead, the vast majority of higher spending B and Fleet customers have already migrated and many of the remaining users are mini-M voice-only users or really want the PAYG service because they are only occasional users, so FleetBB is not necessarily the ideal option. Inmarsat is clearly calculating that these customers won’t want to risk moving to Iridium after the OpenPort problems earlier this year and has stepped up its efforts to portray Iridium’s network as “failing”. Despite all this, no-one believes that Inmarsat could possibly achieve its 8%-12% revenue growth target for 2014 and I expect this to be “softened” in the near future as well. Inmarsat is also likely to emphasize its opportunities for internal cost savings next year and move to dispose of some retail business units like Segovia. Its interesting to speculate about implications for the wider satellite industry as well. Last time around (in 1999-2003), problems in the MSS industry were a harbinger of a downturn in the FSS industry a couple of years later. That came in the wake of a peak in satellite orders in the 1999-2001 timeframe and after the launch of these satellites, which resulted in a sharp decline in prices, the FSS industry took a big hit. We’ve seen a similar peak in orders in recent years (2009-10), and while the major operators are much more likely to retain pricing discipline (in a far more consolidated industry than a decade ago), the advent of High Throughput Satellites, especially those owned by smaller players like Avanti (who might become the most desperate for contracts), could pressure prices in certain market segments and geographies. Just as an example, in recent years, underlying transponder demand has grown at roughly 4% p.a., but revenues have been boosted by around 2% p.a. by price rises. Even if demand growth continues (not a foregone conclusion in some sectors like government where WGS is an alternative), a reversal of the pricing trend would certainly make a big difference to the FSS revenue outlook. As I said at the beginning of this post, gravity clearly exerts a force, even in space. Its interesting to note that Inmarsat has been competing much more aggressively against key competitors in the last few months. First, I’m told that Inmarsat offered a bounty to Telemar to capture Anglo Eastern, a key Iridium Open Port customer with 350 ships, from Globe Wireless, in the fourth quarter of 2012. Then Inmarsat announced in March that Nordic Tankers, one of KVH’s earliest headline customers, was migrating to XpressLink “for enhanced reliability”. Apparently the pricing on that deal is well below the standard list price for XpressLink, but Inmarsat was very keen to demonstrate its ability to take customers away from KVH. Now (perhaps showing a little pique at losing the recent tender for the AT&T Genus replacement contract) Inmarsat is going after Globalstar, with new North American ISatPhone Pro regional voice plans which will start on May 1, and match Globalstar’s recently announced Orbit and Galaxy plans (though without Globalstar’s “double time minutes” promotional offer). Inmarsat is once again offering a huge bounty to service providers for these new signups, equivalent to multiple months of service revenue. All of these developments suggest that Inmarsat is determined to seek topline growth in its L-band business and is no longer reluctant (as in the past) to explicitly target its competitors with selective pricing, even though this runs counter to Inmarsat’s recent tendency to increase list prices. Of course, it is less clear whether the new deals will be profitable for Inmarsat, given the incentives needed to achieve these sales. But with Inmarsat’s investors focused intently on whether the wholesale L-band Inmarsat Global business has returned to growth, and apparently willing to overlook the recent significant contraction in margins within Inmarsat’s Solutions business unit (blamed on a transfer of margin from retail to wholesale operations), that might not matter for now. However, if Inmarsat wants to make more acquisitions (and it is hard to see in the long term who else might end up operating LightSquared’s satellites), then regulators might wonder whether industry consolidation could give Inmarsat even more market power. As Inmarsat approaches its end of year results presentation, scheduled for March 7, the company’s stock price has been surging in the expectation of continued strong progress in the maritime market, which is likely to lead to full year wholesale MSS revenue growth for 2012 (excluding LightSquared payments) somewhat above Inmarsat’s 0%-2% target. This has been driven primarily by Inmarsat’s 2012 price rises, which have been so successful that Inmarsat announced further price rises of around 10% for E&E services last month. I estimate that these new price rises could boost wholesale maritime revenues by a further $10M (roughly 3%) in 2013, on top of the pull-through from the mid year price rises in 2012, and as a result, it is plausible to imagine that Inmarsat’s wholesale MSS maritime revenues might rise by as much as 10% in 2013. Thus, unless there are severe cutbacks in government usage this year, overall revenue growth for 2013 may again come in quite a bit above the 0%-2% target. Our updated profile of Inmarsat provides full details of our forecasts by product, and will be released shortly. That revenue upside perhaps explains why Inmarsat has become notably more aggressive in recent weeks, for example telling its sales team that commission will no longer be paid for selling Iridium products and services (historically Stratos has sold over $10M of Iridium equipment each year). In addition, the IS-27 launch failure appears to have given Inmarsat more confidence that potential partners will need GX for maritime and aeronautical services, rather than continuing to rely on Ku-band services in what may now become a capacity-constrained North Atlantic Ocean Region over the next couple of years. One intriguing issue to watch in terms of Inmarsat’s relationships with its distributors is the ongoing dispute in Russia, where I’m told Morsviazsputnik has refused to pay for Inmarsat capacity for a substantial period of time (note that Inmarsat’s trade receivables have been increasing by about $10M per quarter during 2012, excluding LightSquared payments), unless all Inmarsat-equipped vessels going into Russian waters use a Russian SIM. This dispute has apparently extended to the Russians modifying their call routing gateway (which sends all traffic within 200 miles of Russian territory to an intercept point in Russia) to give them the ability to cut off the communications on foreign vessels. I’m told that in response Inmarsat has considered terminating the routing of traffic to the Russian intercept point, which would of course escalate the dispute even further and make it even more difficult to recover the withheld revenues. Beyond this year, Inmarsat is guiding that its 8%-12% revenue growth in 2014-16 will be backend loaded, and so growth in 2014 will not need to increase sharply (which would be difficult prior to achieving global GX coverage). Indeed, a combination of continued price rises on L-band services and a release of some of the cash previously received from LightSquared (and never spent on installing filters) could help to meet expectations in the next few years, even if GX does not live up to Inmarsat’s projected $500M in wholesale revenue by 2019. With respect to GX, I have been cautious about the $500M target because I have always assumed that maritime would account for the largest share of the GX business and it is very hard to see how Inmarsat could hope to generate $200M-$300M of wholesale maritime GX revenues by 2019, when Inmarsat itself estimates that only $145M was spent on maritime FSS space segment capacity in 2010. However, I understand that Inmarsat is now suggesting that the GX government business will generate more revenue than the maritime market. Of course that is much harder to prove or disprove, especially as Inmarsat gave very little insight in the October 2012 investor day into whether the government business is expected to rely mainly on the dedicated HCO beams in military Ka-band frequencies or on the standard wide area coverage beams which only use civil Ka-band frequencies. An additional GX question that may soon be answered is the potential for a fourth backup satellite to be ordered. Inmarsat certainly has ample justification for placing a near term order, given its reliance on Proton launchers for all three GX satellites, and the run of problems that Russian rockets have had in recent months. Although Inmarsat would presumably portray an order as a sign of increased confidence in the market for GX, this would also add up to $200M of additional capex to the $1.2B GX program, even if no commitment was made to a fourth satellite launch at this stage. Given Inmarsat’s more assertive stance in the market, it will now be particularly interesting to see whether Inmarsat can persuade distributors to share its positive view of the overall GX opportunity, and make revenue commitments similar to the $500M that Intelsat has achieved from Caprock, MTN and Panasonic for its EPIC system. Time will tell, but at least so far, my assertion last October that we had reached a turning point in MSS history has come only partly true: while it certainly appears that the next few years will bring regular price rises, an improvement in Inmarsat’s relationships with its distributors still seems like a distant prospect. MSS: The end of history? The history of the MSS industry, like most other parts of the telecom and technology sectors, has revolved around a theme of “faster, better, cheaper” as technological advances have dramatically improved satellite throughput and enabled significant reductions in the price per minute and per bit of voice and data communications. However, it seems that at least in L-band, we may have reached the limit of economically justifiable technological advances, and the future for the traditional MSS market could now be one of slower development cycles, simpler satellite systems and more expensive services. Some of those technological dead ends are obvious, like the huge satellite antennas built for LightSquared and TerreStar, which did nothing whatsoever to make their satellite services more viable. However, more importantly, Inmarsat sets the tone for the entire MSS sector and could now make it much clearer that we have reached the end of the historical development pattern for this industry. We’ve already seen Inmarsat pushing up prices this year, and with its new focus on the Ka-band Global Xpress system, Inmarsat has also indicated that it expects to delay capital expenditures on a next generation L-band (I6) satellite system and that the system itself will be cheaper and simpler than the I4 satellites. After feeling a backlash from distributors and customers, Inmarsat has been at pains to suggest that this year’s price rises represented a one-off adjustment, rather than the start of regular yearly price rises. Nevertheless, Inmarsat has seen little if any impact in terms of maritime customer losses because Inmarsat holds such a dominant position in the market and Inmarsat’s 2012 wholesale revenues are likely to be boosted by at least 2%-3% as a result of the price rises. Looking forward, the outlook in most parts of the MSS market is fairly depressed, with M2M services providing the main source of growth, and overall wholesale L-band revenues are only likely to grow by perhaps 4% p.a. in the next few years. Although we’ll find our more specifics on Tuesday about Inmarsat’s expectations for Global Xpress, it also remains hard to see how GX will meet the original target of $500M in incremental wholesale revenues within 5 years, suggesting that Inmarsat’s move to Ka-band will not move the needle on overall MSS market growth very far. Reasons for this include the apparent lack of military Ka-band frequencies (which were supposed to be secured by Boeing and would be needed to allow GX to operate as a seamless supplement to WGS), the fact that XpressLink customers are being given the option but not the obligation to upgrade to GX when it is launched and, most importantly, the threat posed by Intelsat’s new Epic satellites, which have secured some key anchor customers (Panasonic, MTN and Harris Caprock) and caused many distributors and end customers to reconsider the “inevitability” of a move to Ka-band. As a result, it seems there is now a fairly clear case for Inmarsat (as the price leader in the MSS sector) to push through regular annual price rises on the 50% or so of its wholesale L-band revenue base that is least likely to move to alternative solutions and has the lowest price elasticity. This would mean price rises for low and mid range maritime customers plus many land customers, while leaving aeronautical and high end maritime customers (who are more at risk from VSAT competition) largely untouched. Today there is an essentially flat outlook for L-band revenues, as modest growth in M2M and handheld is being offset by the migration of high end maritime and aeronautical customers to XpressLink (and other VSAT solutions), together with reductions in defense spending/event revenues. However, a price rise of 5%-10% p.a. would potentially allow Inmarsat to grow its L-band business at 2%-4% p.a. for the next several years. Other MSS operators would also benefit through (modest) gains in market share and more pricing freedom, and the overall MSS sector could perhaps then return to something closer to the 7% p.a. revenue growth rate seen before the downturn of the last couple of years. Even distributors, who have seen their margins pressured over the last decade, would appreciate some ability to increase their overall revenues (given that demand elasticity is quite low), if margins can be sustained or even increased. However, in order to execute such a change in strategy, Inmarsat would also need to repair its relationship with independent distributors, which has taken a significant knock from Inmarsat’s acquisitions of Segovia and Ship Equip and its decision not to pass on some wholesale price increases through its own direct distribution channels. There have also been several instances where Inmarsat has made its own bids for key contracts which massively undercut the bids from the incumbent independent distributors providing the same services. Indeed it often appears that Inmarsat has the explicit intention of driving its leading independent distributor, Vizada (now owned by Astrium Services) into the arms of other satellite operators such as Intelsat and Iridium. It seems to me that only with the cooperation of independent distributors can Inmarsat present a united front to end customers, and explain that price rises are necessary for a healthy market, as opposed to having their assertions undermined not only by (the expected) sniping from competitors, but by distributor dissatisfaction (and potential defections due to increased margin pressures) as well. Is Inmarsat willing to change this dynamic and restrain its direct distribution arm, or will it resort to a “bunker mentality” and either miss the chance to boost revenues or push further price rises onto its independent distributors, amidst a rising tide of opposition? Time will tell, but its perhaps worth remembering that the full title of the book was “The End of History and the Last Man”, the last man being someone who “is tired of life, takes no risks, and seeks only comfort and security“. Its been a little hard to make sense of some of the data emerging from Inmarsat recently. 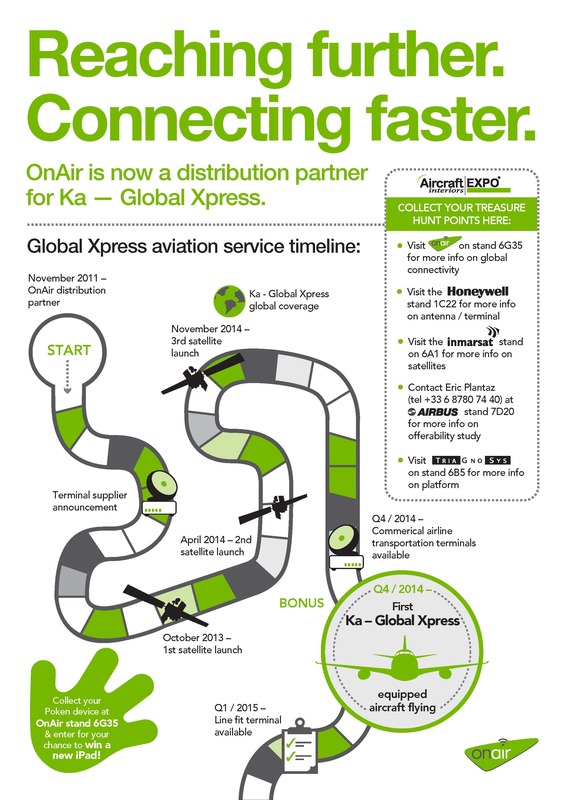 For example, a recent factsheet from OnAir indicates that the first Global Xpress launch will be in October 2013, followed by subsequent launches in April and November 2014. Perhaps OnAir is confusing the launch date and the availability of the satellite for commercial service, but if these are indeed the launch dates, then they are later than the timeline that Inmarsat’s partners were given back in January this year of a first launch in June 2013 followed by subsequent launches in Q1 and Q3 of 2014 (and they don’t correspond to the “availability” dates given then either), even though Inmarsat stated on the Q1 results call in May that GX was “on schedule and on budget”. We’ve also seen Inmarsat defending its price rises in a briefing paper to the International Chamber of Shipping by stating that their Standard Plan for FleetBB only costs $130 for the subscription charge, or $13/Mbyte for the bundled data. However, Stratos’s website indicates that the subscription fee for the Standard Plan was increasing to $208 per month from May 1, and Inmarsat has indicated separately that the wholesale price alone was being increased by $3 per day or $90 per month (to what I estimate is something very close to $130). So is Inmarsat assuming that distributors will now sell at zero margin, or is it simply quoting a wholesale price when a retail price would be more relevant? Hopefully we’ll hear a explanation of these apparent inconsistencies on Inmarsat’s upcoming results call, or at least at Inmarsat’s investor day in October. 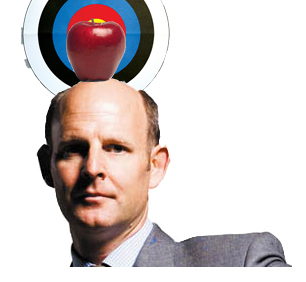 But (mixing my literary references) as Inmarsat continues to suffer the slings and arrows of outrageous fortune, amid predictions of its imminent “downfall”, it might be worth taking a lesson from William Tell’s son, and standing still! Without any hint of the PR blitz that I had expected, Intelsat has quietly updated its website to confirm my blog post in March, that it is about to order at least two new satellites, IS-29 and IS-33 to provide high capacity spot beam Ku-band service in the North Atlantic and Indian Ocean regions. These satellites will be in-service in 2015 and 2016 respectively, and are intended to “provide four to five times more capacity per satellite than our traditional fleet” with total throughput “in the range of 25-60 Gbps” (this appears to be a total not a per satellite figure – I would guess the throughput per satellite is around 12Gbps, roughly the same per satellite as Inmarsat’s GX, including its high capacity overlay beams). UPDATE (June 7): Intelsat has now put out a press release and added more data to its website including a fact sheet, which states specifically that the throughput of 25-60 Gbps is per satellite. Obviously this figure is a wide range but it is clearly much greater than the Global Xpress per satellite capacity. I understand that one reason for Intelsat’s lack of publicity is the quiet period associated with its proposed IPO, but Intelsat definitely considers this a very important development and has been trumpeting it privately to distributors at its recent partner conference. What we haven’t yet seen are the details of Intelsat’s launch partners. It is clear that one partner is Panasonic, but the more important question is who Intelsat might have managed to secure in the maritime market. Inmarsat’s recent list of XpressLink distribution partners was notable for the absence of Vizada and most other major maritime VSAT providers, so if one or more of these maritime players now makes a substantial commitment to Intelsat, it will be another important sign that the transition to Ka-band in the maritime and aeronautical sectors is far from a foregone conclusion. The handling of the pricing restructuring shows a blatant disregard for the long-term loyalty and trust that, up until a couple of years ago, the majority of the shipping world has had in Inmarsat and its maritime offerings. Inmarsat is listening to our customers. We recognise that some of these price changes will be difficult for smaller vessels, and so we will be introducing a small boat package to which they can transition. However, to the best of my knowledge, this “Small Vessel Pricing Plan”, which Inmarsat told its distribution partners a couple of weeks ago was “in the final stages of development”, has not been announced before the pricing changes come into force tomorrow, and I’ve even heard suggestions that Inmarsat doesn’t actually intend to implement this plan unless it really does suffer from a significant number of customer defections. Of course, Inmarsat is not alone in experiencing some self-inflicted wounds at the moment. Last Friday brought news that Iridium is implementing a “complete recall” of its new Iridium Extreme handset, while on March 30, Thuraya told its distributors that it had been unable to reach a manufacturing agreement with Comtech for its high speed MarineNet Pro maritime terminal (intended to compete with Inmarsat’s FleetBB) and so the terminal would not be in the market until “the end of the year”. As announced on its Q4 results call, Globalstar ran out of SPOT and simplex devices for a period of time in the first quarter after changing its manufacturer, and will shortly learn the results of its arbitration with Thales Alenia over its satellite contract. Let’s just hope that all of this mess doesn’t harm the reputation of MSS providers for providing reliable service when its really needed, and in particular doesn’t make it even more difficult for the MSS sector to boost revenue growth in this challenging competitive environment. The biggest news of this week’s Satellite 2012 show was only hinted at in the background, with many elements of the announcement (which I’m told was originally scheduled for Monday March 12) apparently delayed while the final details are worked out. 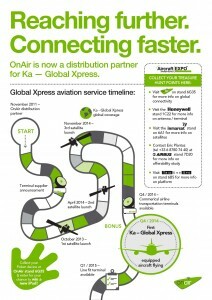 Panasonic hinted at their role in this deal on the in-flight connectivity panel, stating that they would be investing “more than any other player in the aeronautical sector” in a new network, while Inmarsat backpeddled on their recent aggressive approach to potential Global Xpress partners, by indicating that they would allow GX maritime distribution partners to keep their own VSAT services rather than being forced to resell Inmarsat’s XpressLink Ku-band service for the next 2-3 years. What has shaken up the industry is that Intelsat apparently planned to announce additional elements of their global Ku-band maritime and aeronautical service, using new spot beam Ku-band satellites in the Atlantic, Indian and Pacific ocean regions. Although Intelsat did issue a press release on Monday, highlighting their focus on mobility, this largely reiterated existing commitments, and omitted both new satellite plans (including IS-29, which is expected to be a high capacity satellite in the Atlantic, and will likely be built by Boeing) and Intelsat’s anchor tenant(s). More details on both of these elements are expected soon. Panasonic will apparently be the anchor aeronautical tenant for this new network and is expected to make an upfront commitment (for purchase of capacity) to help fund Intelsat’s satellite program which could exceed $100M. Many maritime VSAT providers are also looking actively at potential use of the network, as an alternative to Inmarsat’s Global Xpress project, because Intelsat have promised to operate purely as a wholesale capacity provider, rather than competing with their own customers as Inmarsat is doing. The cost of Intelsat’s Ku-band capacity is said to be comparable to Global Xpress (though that will undoubtedly be disputed by Inmarsat), and with Intelsat’s numerous Ku-band mobility beams, coverage will apparently be nearly as great as on Global Xpress. The repercussions of this development are far-reaching, not least because it will make Inmarsat’s already challenging GX transition plan even more tricky. Inmarsat have recently backed off their original plan to select Rockwell Collins as the aeronautical terminal and distribution partner for GX and now appear poised to use Honeywell (who were originally Panasonic’s terminal development partner before Panasonic opted to bring that work in-house). Up until this week Inmarsat were requiring potential GX maritime distributors to drop their own VSAT service and instead act as agents for XpressLink until GX was launched, but Inmarsat’s CEO indicated on Wednesday that this is no longer the case. And Inmarsat are raising their prices for FleetBroadband service to try and prevent maritime VSAT competitors from using FleetBB as a backup, driving some of them such as KVH into Iridium’s arms with their new (and very aggressively priced) OpenPort backup service, which can cost less than 20% of Inmarsat’s on-demand FleetBB price per Mbyte. Now the question is whether Inmarsat will have to engage in a further rethink of their maritime distribution strategy (prior to their hastily arranged maritime partner conference in May) as they look to assuage the widespread anger amongst distributors. Many distributors are openly delighted about Intelsat’s move, after they were told at Inmarsat’s January 2012 partner conference that they would just have to accept Inmarsat’s terms, and hand over their VSAT customers for XpressLink, because there was no other choice available. Inmarsat will also have to consider whether their revenue forecast for Global Xpress (of $500M in wholesale revenue by 2019 and $200M-$300M in 2016, based on their 8%-12% p.a. wholesale revenue growth target in 2014-16) is still achievable, especially if some of the key potential partners for maritime GX want to continue to use well-proven Ku-band services and therefore opt to stay with Intelsat for their maritime VSAT capacity. This rather dark song seems to sum up perfectly Inmarsat’s current dilemma: will the recent price rises enable Inmarsat’s revenue growth rate to “explode” or will the souring relationship with customers and distributors ultimately cause their business to “implode”? As an article in Cruising World points out, the basic price of Inmarsat’s low end FleetBB plan (the Intellian version of which costs $55 per month) will “more than triple” in May, and “it’s surely looking like the company doesn’t feel much obligation to the boaters who purchased expensive but yacht-size FB hardware once able to get online most anywhere at reasonable costs if carefully used”. I understand that the amount of bundled data included will double from 5 Mbytes/month to 10 Mbytes/month (which may not be terribly relevant to low end users), but the plan will not longer include any voice and SMS – that will be charged on top, increasing the costs further. Cruising World attributes the price increases to Inmarsat’s loss of LightSquared revenues, which is partially true, though I’m told that internally Inmarsat has set a target of double digit revenue growth within its maritime business, and with the core shipping business very depressed, the only way to do that is to force dramatic price increases upon existing Inmarsat customers. Almost 60% of all FleetBB users are on this basic plan, and so nearly 15,000 maritime customers will be helping to “ease [Inmarsat's] troubles” by “pay[ing] them double”. More importantly, many of these customers bought their FleetBB terminals in the last two years, and now will most likely feel that they have been the victims of a bait and switch by Inmarsat. The price changes in Inmarsat’s handheld business are equally dramatic, with roughly 90% of customers using either the basic plan or low end prepaid cards, which are also expected to more than double in price at the retail level. Thus Inmarsat will also be faced with something over 30,000 handheld customers who have bought their phones in the last 18 months and will similarly feel that they have been victims of a bait and switch. Inmarsat will presumably counter that neither group of customers accounts for a large share of their revenues (I would estimate the basic FleetBB plan accounts for perhaps 10% of FleetBB revenues, while handheld is still generating only ~$1M of service revenues per quarter), but it can’t be good for long term business if there are something like 45,000 end users who’ve been hurt by Inmarsat and will be expressing their negative perceptions (“What’s good, you hurt it…It’s a shame what they do to us all”) of the company pretty openly. Distributors are also likely to be deluged with complaints by these end users, and many service providers are already actively focusing on alternatives to Inmarsat, as we saw with the recent KVH-Iridium partnership. Distributors are thus understandable furious about Inmarsat’s moves, with the (printable) comments I’ve heard ranging from “harsh and irrational” to “just unprofessional” and simply have no idea what Inmarsat will do next. Though distributors might not be able to “desert” Inmarsat right now, ironically the low end customers that Inmarsat is alienating in the maritime segment are precisely those for whom Iridium’s OpenPort represents a competitive offering. Indeed, in terms of the opportunity that Inmarsat has just created, Iridium apparently feel like its February 2007 (when Globalstar announced that their satellites were failing) all over again.